Hello from the School Enterprise Challenge team and welcome to the first in our series of SEC 2014 interviews! Over the next couple of weeks we’ll be featuring interviews with students, teachers, judges, mentors and staff who participated in the 2014 School Enterprise Challenge. 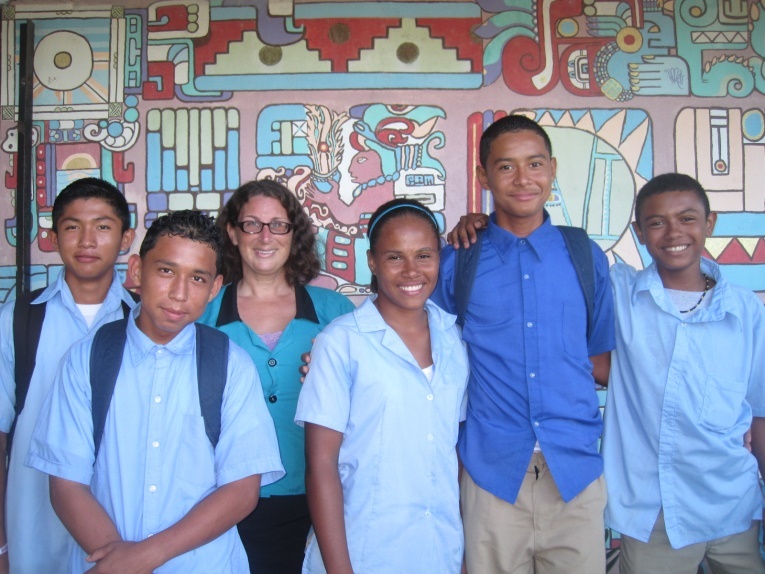 This week we meet Joni Miller, the co-Founder and ‘School Enterprise Challenge’ teacher for Caye Caulker Ocean Academy in Belize. This island based high school has a strong focus on teaching entrepreneurship, innovation and real-world skills. Read about Joni’s experience in The School Enterprise Challenge and how the competition took her students’ practical skills to new heights! What made you want to get involved in The School Enterprise Challenge? We are already running a number of school businesses as well as holding entrepreneurship classes at every level of our school; so joining the School Enterprise Challenge was a natural next step. Then when I saw that there were cash prizes and lesson plans it provided an extra incentive to get involved. Can you tell us about the school business ‘Fish With Purpose’ that your students set up? ‘Fish With Purpose’ started when the owner of Angler Abroad Fly Fishing Tours offered to teach fly fishing to our students as a PE class choice. When we saw the School Enterprise Challenge, we realised the opportunity to turn it into a business. 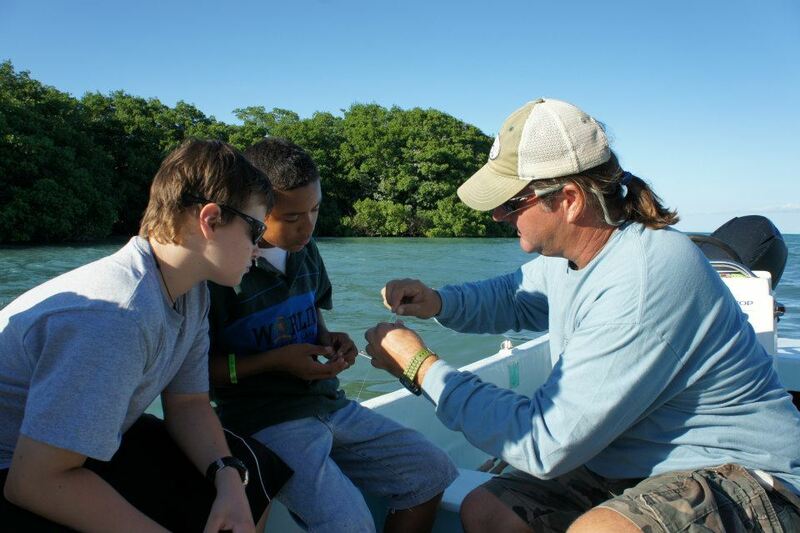 The ‘Fish with Purpose’ business offers sport and fly fishing experiences, accompanied by high-school students who share local insights about the island’s marine ecosystems, types of fish and marine life and best spots to fish. We already offered kayaking and bike trips, but the ‘Fish with Purpose’ business is different to the other businesses we run at our school because the students have taken the lead in running it themselves. My main role so far has been to provide resources for the students and setting up training workshops with community mentors. How has the experience affected your students? The students are very passionate about their fly fishing class they love it! This experience has validated the fact that they have learnt a very valuable skill and they can use it to get into a very lucrative business – a fly fishing guide makes a lot of money sometimes up to $400 US dollars a day! They have also enjoyed working with the visitors and tourists; they enjoyed working on their leadership and teamwork skills, as well as having their local knowledge valued. The students know a lot of things about the reef, local wildlife and fishing, so it’s really a chance for them to be recognised for the knowledge they have as islanders. You just mentioned that your students gained experience in leadership and teamwork, what other skills did your students learn whilst participating in the School Enterprise Challenge? They got a chance to practice their English. Belize is officially an English speaking country but the unofficial language is Creole, so when they were interacting with visitors and tourists they got the chance to work on their communication and language skills. They also gained experience in Mentorship. Most of the students involved in the business are seniors and about to graduate. They took the initiative to start a ‘Peer Mentoring Scheme’; training younger students to take over the business and help it grow. What kind of challenges did you encounter? And how did you overcome them? Teach a Man to Fish loved our idea but were concerned about our high start-up costs. The students had to think about how to reduce these costs. They decided that just for the first year they were going to carry out land-based fishing trips that don’t require an investment of boats or paddleboards, and look at water based trips as the business grows. So that challenge was overcome by successfully scaling back their ambitions for the first year of the business. Was there a moment that was particularly memorable? The feedback on our final report was so enthusiastic and so positive. It was also really great to see how excited the students were about earning money and contributing towards their own tuition fees. This idea of being able to earn your own education is very meaningful to our students because education is not free in Belize, and this is a positive ways for students to relieve stress on family finances while also learning valuable skills. What advice would you give to another teacher who is thinking about taking part in the School Enterprise Challenge? Do it! I’ve already recommended it to a school in Uganda that is fundraising to support themselves. The School Enterprise has cash prizes! They also give you lesson plans which are really helpful and make the teacher’s workload so much easier! (Above) Young Entrepreneurs with one of their catches, prior to releasing it back to the sea! Will your school be continuing in the School Enterprise Challenge next year? Yes, definitely. Next year we plan to enter a completely different business idea with a focus on technology! Stay tuned for next week’s interview with the students at Welkom High School in South Africa! This entry was posted in Uncategorized on February 17, 2015 by School Enterprise Challenge.